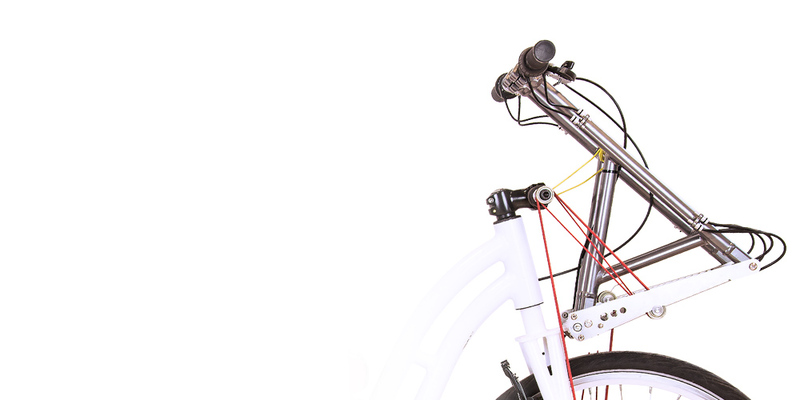 Built from classic Stringdrive parts optimized for hands, powering the front wheel by colorful, clean strings. Work out your pectoral and dorsal muscles either in the countryside or in the city while riding. 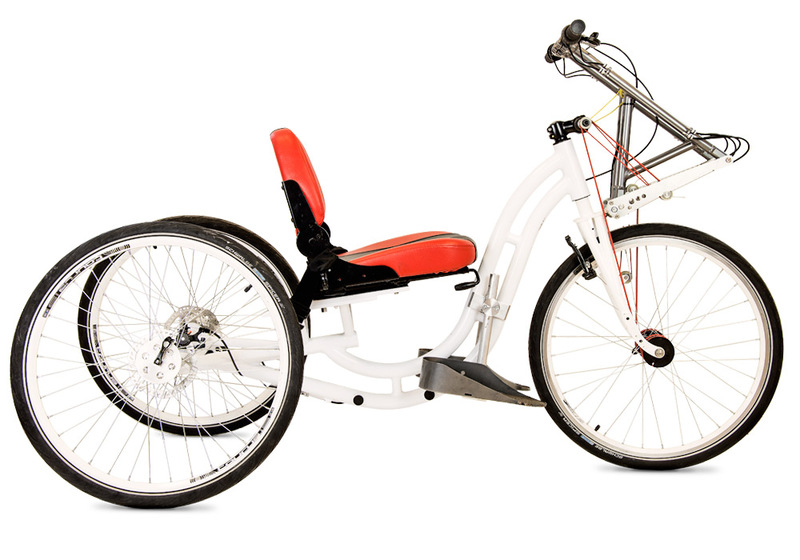 Accelerate like never before with a handbike. 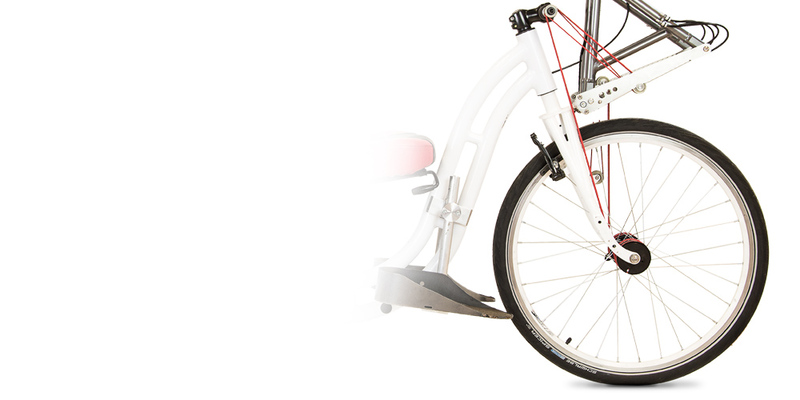 Use the handlebar to propel the bike by pushing and pulling it with a rowing motion. 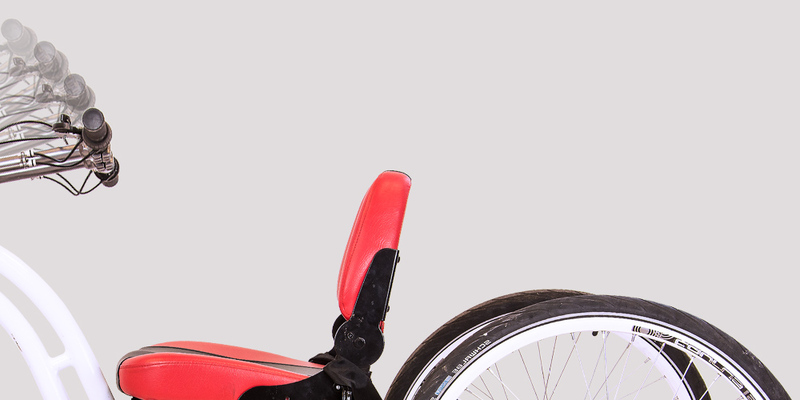 Long or short movements of your arms can roll the handbike. 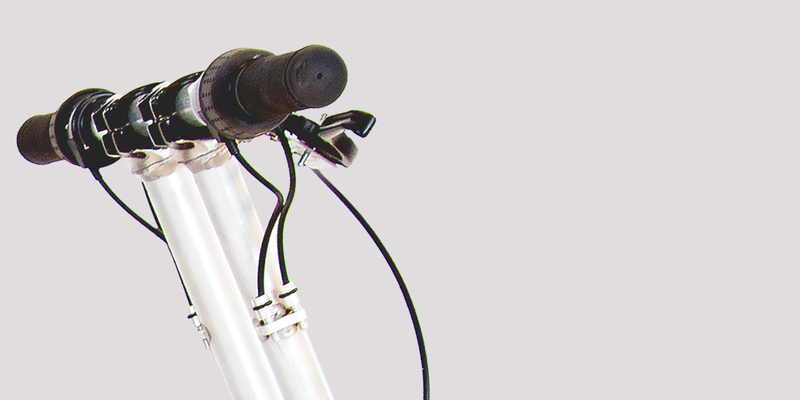 Two independent gearshifts are controlling the power needed for pushing or pulling the handlebar.